The chipKIT WF32 has an onboard Wifi radio that can be used to connect the WF32 to a Wifi network and control it remotely using LabVIEW. In this tutorial we'll configure the chipKIT WF32's Wifi settings and run a simple Blink example via Wifi. 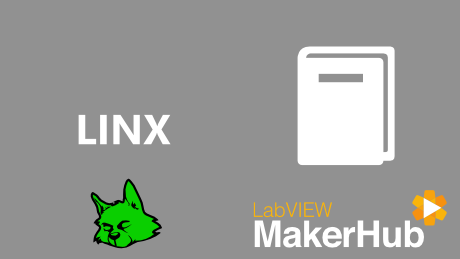 Launch the LINX Firmware Wizard, choose the chipKIT WF32, it's COM port and the Wifi firmware. SSID is the name of the network to connect to. Assign the chipKIT WF32 an available IP Address. 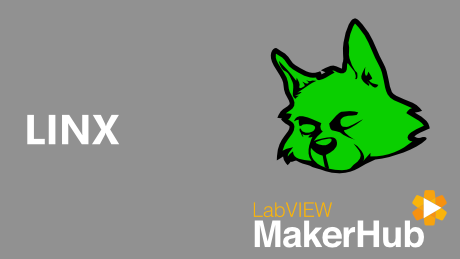 You will need to specify this IP address again later as an input to the LINX Init VI. Select the Port to use. You will need to specify this IP address again later as an input to the LINX Init VI. Specify the Wifi security type and passphrase. 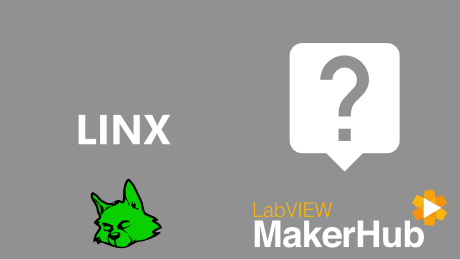 Note: It is recommended that you disable network security to start and then re-enable it after you confirm the LINX connection is working. Enter the IP Address and Port specified in the firmware wizard. Run the example and toggle the LED. Examine the block diagram and notice the only LabVIEW code change required for Wifi is to replace the Serial Port control with an TCP Configuration control. Modify the previous Physical Compute Kit examples to use Wifi rather than USB.